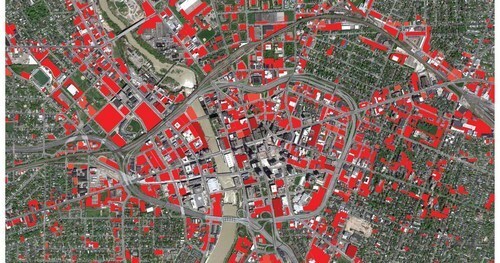 Announcing: Identification of free Parking Spaces via Satellites! Following our London expansion we have another announcement to make, one that we are very proud of! One of our biggest challenges in ParkAround was getting real-time availability on street spots. We couldn’t answer questions like: How many empty spaces are in this block? How many empty spaces are in this block? As a result we could only offer information as to where the nearest and cheapest car parks are located and the ability to book parking spaces at up to 50% lower rates. As of today though, everything is about to change! We are announcing real-time availability and booking at the streets of London through satellite support. After two years of preparation and close collaboration with NASA’s λ-Sat team we completed the integration of our platform into one of the data feeds of Satellite XKR-2231. Every 2’ we are getting live images from London’s streets that we consequently process to locate empty spaces. Starting today, we can offer availability information for all Central London every 4’. No more driving around trying to find an empty spot. ParkAround is here for you! Here is the official announcement from NASA. Επόμενο άρθρο Μια νέα εμπειρία στάθμευσης σε περιμένει στο TEDxAthens!